Research > Think US Electricity Demand is Growing? Think Again. Think US Electricity Demand is Growing? Think Again. It seems like everywhere you look these days there is a product or technology that is consuming electricity. Our homes with TVs, appliances, and HVAC systems. Our cities with millions of lights and businesses. Even our vehicles with automotive companies constantly innovating and mass producing electric cars. However, if you assumed this means electricity demand in the US is skyrocketing… you’d be wrong. 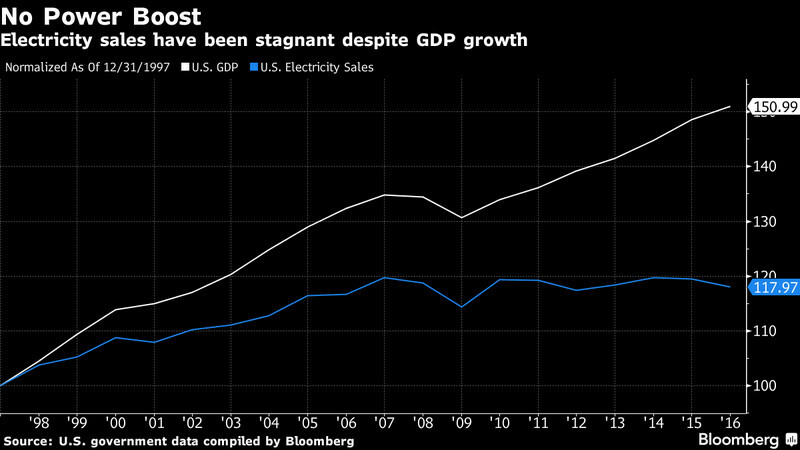 In fact, after rising for 100 years straight, electricity demand has surprisingly flatlined for the past decade while GDP continues to rise. This historic shift in demand can be attributed to a number of different factors. Even though Americans consume the 2nd most energy in the world, we are also becoming more energy-efficient. 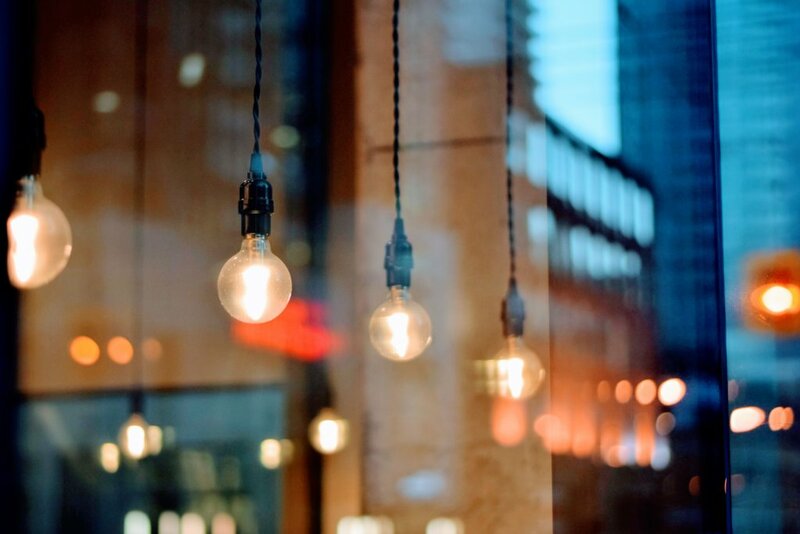 Technology advances for everyday products allow us to power our products using less electricity. It has also given us more information about our energy usage than ever before and given us ways to cut back or learn our habits to cut back for us. Outsourcing of manufacturing to other countries is another large contributor to the decrease in electricity demand. As many companies find a cheaper way to make their products overseas, we see a reduction in electricity usage in the industrial sector of the US. Also, many residents have taken it upon themselves to make their own electricity and get off the grid. Solar power is cheaper than ever before and many residents can now afford to install solar panels on their property. Microgrids are becoming more popular as well at a community and business level. This huge shift in demand has wreaked havoc on the utility industry. Some, Like FirstEnergy, have looked for government bailouts and assistance for inefficient power plants. Others have had to sink millions into readjusting their forecasts. For example, the Tennessee Valley Authority who, among other things, is in charge of supplying electricity to Tennessee and a few surrounding states. They also must periodically forecast and develop a plan to meet electricity demand for the next 20 years. Their latest plan, which was developed in 2015, did not have any major upgrades to the electrical grid as they thought baseload power plants would meet demand. TVA must now spend millions of dollars to develop a new 20-year energy plan, just 3 years into their current plan. Utilities around the US are now scrambling to adjust to this new trend of flat, or potentially declining, demand. However, reform is not easy as the utility industry business model is built on perpetual growth and advancement in infrastructure. In order to survive, utilities will have to find a new way of making money with services instead of growing infrastructure. However, from an economical and environmental standpoint, this is great news for the US. Decreasing demand for electricity means less pollution, less expensive infrastructure and, potentially, lower electricity rates in the future.